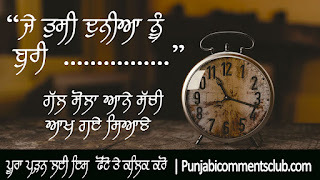 प्रेरणादायक विचार in Punjabi language. ਬੜ੍ਹੀ ਹੋਵੇ ਹੱਲ [ solve ] ਹੋ ਜਾਂਦੀ ਹੈ. Please note, can't copy or upload for commercial use for a website or other platform.because our website data copyright from Google company and film writer association Mumbai.if you do this your website can be a blacklist from Google company.